Spring is coming! It is time to start on our spring-inspired crafts. 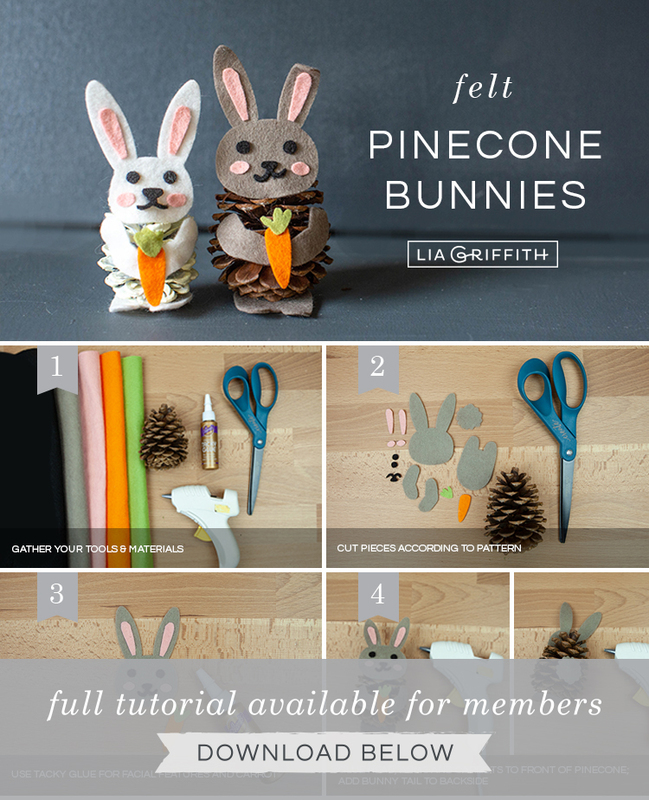 We thought a few felt pinecone bunnies would be a perfect spring addition to our growing crew of felt and pinecone animals. 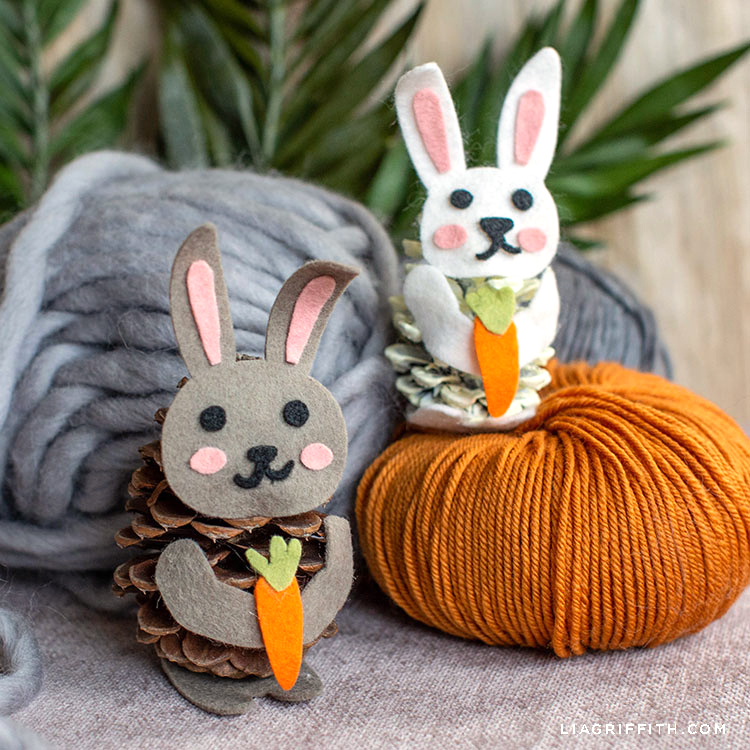 Though bunnies are a great Easter icon, you can switch hearts for carrots and use them for your Valentine’s Day crafts as well! 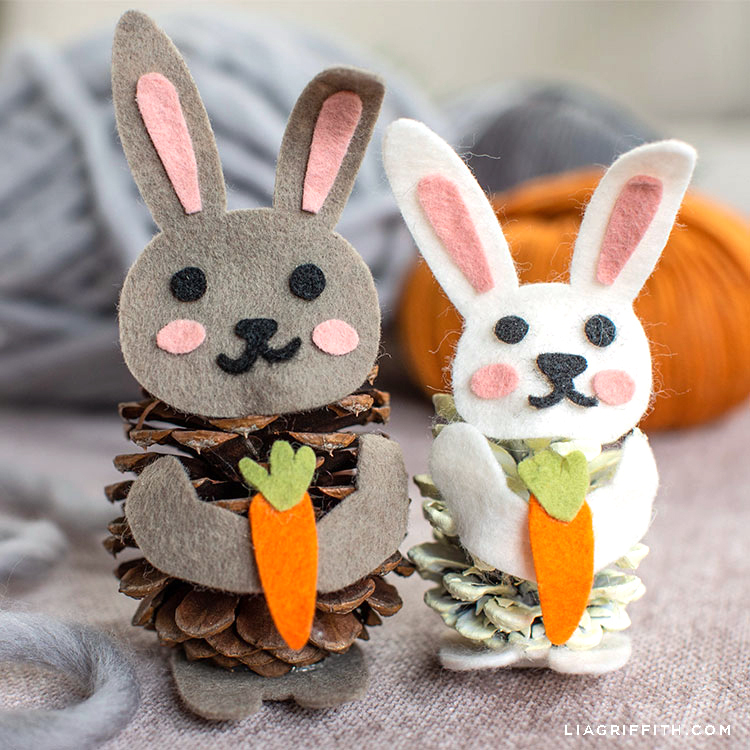 For holiday or any day, these cuties make a perfect kids’ craft. Somebunny is pining for you! We have found that the Cricut Maker rotary blade is a great way to cut small details from felt. You can use the SVG cut file by downloading below to prep your pieces on the Maker. Or you can cut and trim all of the pieces with a pair of craft scissors or detail scissors. 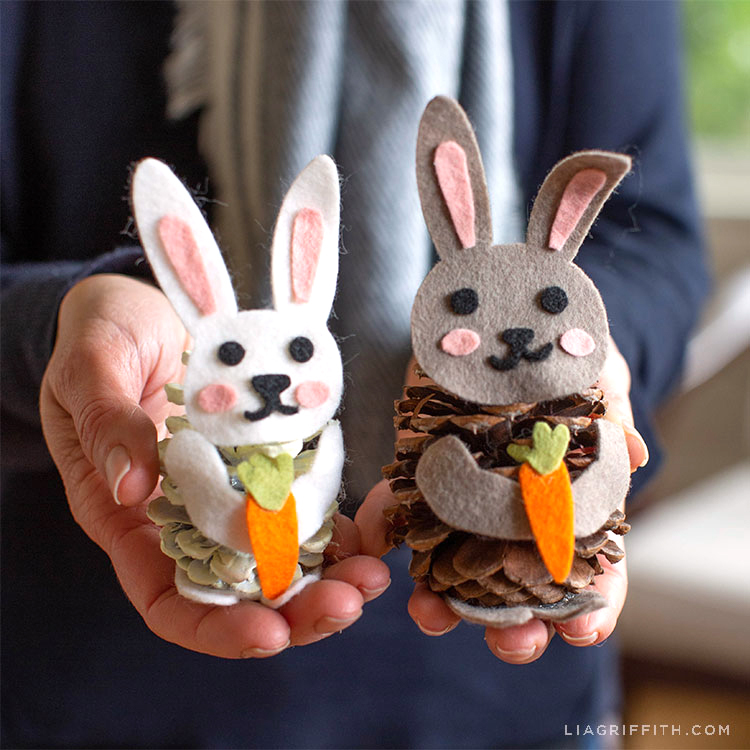 Once all of your pieces are cut, follow the tutorial below to make your felt pinecone bunnies. Since pinecones from nature are not uniform and may not always sit upright, a trick we found that works well is to glue a coin between the felt feet and the base of the pinecone. This will add a bit of weight and give the base a flat place to stand upright. 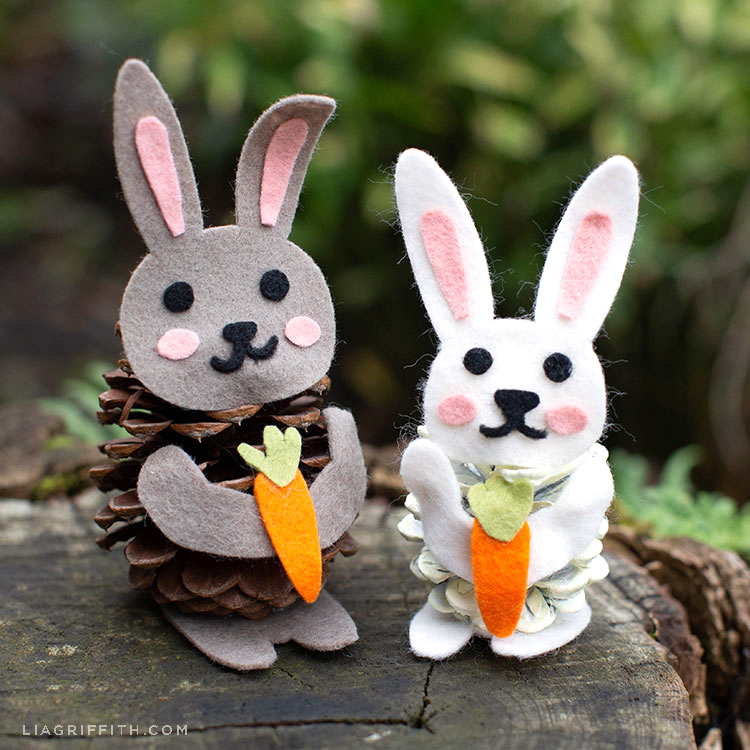 We would love to see your version of these felt pinecone bunnies. So don’t forget to tag #MadeWithLia when you post pictures! Or you can share on our Facebook page for members. Have questions? Just comment below.